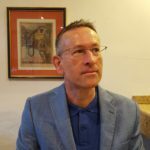 Professor Mark Cornwall is Professor of Modern European History at the University of Southampton, and was a Visiting Fellow at All Souls College Oxford from March to July 2017. He specializes in the later history of the Habsburg empire and its successor states (Czechoslovakia, Hungary and Yugoslavia). He has published widely on the subject of Austria-Hungary in the First World War. His first monograph, The Undermining of Austria-Hungary: The Battle for Hearts and Minds (2000) is an in-depth study of the most important use of ‘front propaganda’ during the war; it also reveals much about the Italian front and the ideological battle of ideas that destroyed the Habsburg monarchy. He has edited several books about the causes and results of the empire’s demise: The Last Years of Austria-Hungary (2002) and Sacrifice and Rebirth: The Legacy of the Last Habsburg War (2016). He also has a particular interest in the South Slav problem, how it was perceived by the Habsburg authorities and how Yugoslavia was created in 1918. He is now writing a history of treason in the late Habsburg monarchy (1848-1918) and has secured a Major Leverhulme Research Fellowship to complete this study. An early product of the project is an article in Transactions of the Royal Historical Society (XXV/2015) about treason in the First World War, based on an RHS lecture: https://vimeo.com/109916169 Other projects at the moment include editing, with Professor Pieter Judson, the Cambridge History of the Habsburg Monarchy 1780-1918; and editing a book of essays, Sarajevo 1914: Spark and Impact, about the causes and results of the Sarajevo murders which sparked the First World War. 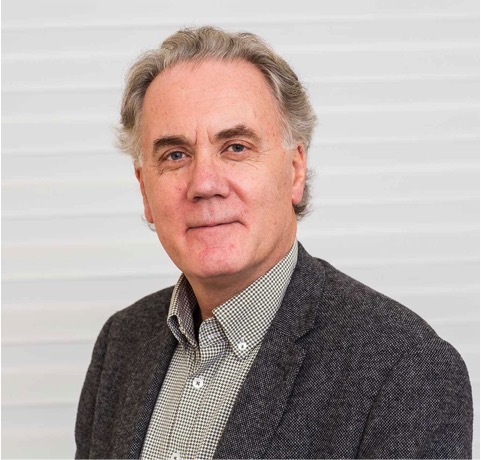 Professor John Horne is Emeritus Fellow and former Professor of Modern European History and Director of the Centre for War Studies, at Trinity College Dublin, and a member of the Executive Board of the Historial de la Grande Guerre, Péronne. He is also a Member of the Royal Irish Academy. He has written extensively on modern France and the transnational history of the Great War. Among his most recent books are: (with Alan Kramer), German Atrocities, 1914. A History of Denial (New Haven, Yale, 2001), translated into German (2003) and French (2005); (ed.) A Companion to World War One (Oxford, Blackwell-Wiley, 2010); (ed.) Vers la guerre totale: le tournant de 1914-1915 (Paris, Tallandier, 2010); and with Robert Gerwarth, War in Peace: Paramilitary Violence in Europe after the Great War (Oxford University Press, 2012). Professor Horne was with the project from 2015-2017, firstly as an Oliver Smithies Visiting Fellowship at Balliol College and then as a Leverhulme Visiting Professor. Professor Horne delivered two Oliver Smithies public lectures on the theme: ‘Rethinking the Great War’. He also gave a series of talks as part of his Leverhulme Visiting Professorship, in Michaelmas Terms 2016 and 2017. He also gave seminars and engaged in individual and collective discussions with members of the project. 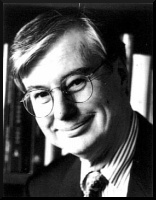 Professor Roy MacLeod is a historian of international science and technology, who writes about scientific intellectuals, science and war, the history of global movements in scientific ideas, and the role of science-based technologies in the recent history of India, China, and Asia-Pacific. He was in Oxford for Hilary Term 2016, writing on the impact of the Great War on the natural and social sciences, and on the experience of the war in shaping post-war attitudes towards nationalism and internationalism in science. Roy MacLeod was educated at Harvard and Cambridge, and holds an honorary doctorate from Bologna. He was the foundation Reader in History and Social Studies of Science at Sussex, and foundation Professor of Science Education at the Institute of Education, University of London. He is now a Professor Emeritus of History at the University of Sydney, and an Honorary Associate in the University’s Centre for International Security Studies. He has held visiting posts at universities in Asia, North America, Australia, France, Sweden, Italy and Germany. For many years, he served as the Editor of Minerva, where he helped foster the emerging field of science studies, to which he has contributed 25 books and 150 scholarly articles and essays. 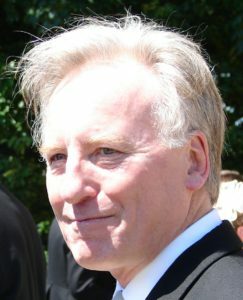 He has received awards from the Australian Government and the Alexander von Humboldt Foundation of Germany, and is a Fellow of the Australian Academy of the Humanities, the Academy of the Social Sciences in Australia, the Royal Historical Society, and the International Academy of the History of Science. In 2014-2015, he held the Sarton Chair at the University of Ghent. In 2016, he was a Visiting Fellow at Trinity College, Oxford. 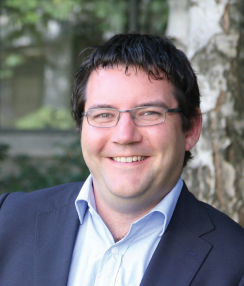 Dr David Monger is Senior Lecturer in Modern European History at the University of Canterbury, New Zealand, where he has worked since 2010. His research focuses on British official propaganda during the First World War. His first book, Patriotism and Propaganda in First World War Britain: the National War Aims Committee and Civilian Morale was published by Liverpool University Press in 2012, and provided the first in-depth study of the NWAC, contending that the organisation’s propaganda featured a complex underlying patriotic narrative drawing on well-established themes of British patriotism, adapted to the wartime context, and that the NWAC had a larger impact on British civilian society in 1917-18 than has previously been recognised. 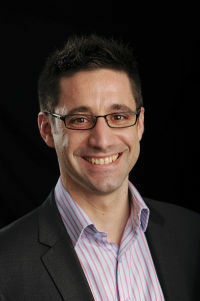 In 2014, he co-edited the collection Endurance and the First World War: Experiences and Legacies in New Zealand and Australia, exploring the different ways in which the experience and aftermath of the war was characterised by endurance. David has also published articles on First World War propaganda in several journals and in 1914-1918 Online: International Encyclopedia of the First World War. His most recent article, published in Twentieth Century British History in late 2015, focused on the ritual aspects of public propaganda. David visited Oxford in September and October 2017 as part of a visiting exchange between Oxford and the University of Canterbury, sharing and extending his knowledge of British wartime propaganda. Dr Pierre Purseigle is Associate Professor in Modern Continental European History, at the University of Warwick. He has completed the first phase of a Marie Curie Fellowship at Yale University, where he also taught the comparative history of the First World War. He resumed this fellowship in May 2015 at Trinity College Dublin. His research to date has focused on the comparative history of the First World War and especially on the experience of the French, British, and – to a lesser extent – Belgian populations. He has researched and published on wartime mobilization, the experience of refugees, and pictorial humour. He is currently writing on the process of nationalization and political mobilization in Britain and France in the early Twentieth Century, on the historiography of the First World War, on the reconstruction and demobilization of belligerent societies after the conflict, and on the memory of the Great War in the French Empire. His new research projects will investigate the reconstruction of Europe after WWI and the transformations of the belligerent state in the era of the Great War. His teaching and editorial undertakings have similarly been driven by a strong commitment to the comparative study of European societies in the nineteenth and twentieth centuries. A Fellow of the Royal Historical Society, he is also a co-founder and President of the International Society for First World War Studies and Editor-in-Chief of First World War Studies. Dr Iris Rachamimov (Israeli Visiting Fellow, St Antony’s College) teaches modern history of Central and Eastern Europe at the Department of History of Tel Aviv University with special emphasis on the Habsburg Monarchy. She received her Ph.D. in 2000 from Columbia University, where she studied under the guidance of István Deák. Her book POWs and the Great War: Captivity on the Eastern Front (2002) was awarded the Fraenkel Prize for Contemporary History for a first major work. Her article “The Disruptive Comforts of Drag” was published in the April 2006 issue of the American Historical Review. During the year 2008-2009 she has been a fellow of the Stanford Humanities Center and has written the chapter of military captivity 1914-1945 in the most recent edition of the Cambridge History of Warfare. 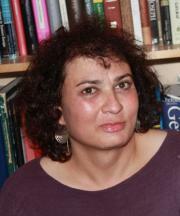 Iris Rachamimov directed the Cummings Center for Russian and East European Studies at Tel Aviv University between the years 2009-2015, and is currently the chief editor of the Hebrew-language historical quarterly Zmanim. She is interested in understanding the variety of mass internment regimes that had evolved in the years 1914-1922 (there were about nine million prisoners and internees during WWI) and the role Great War internment played in long-term trajectories of mass incarceration. She is also very much interested in understanding how one-gender camp societies functioned on a daily basis for such an extended period of time. 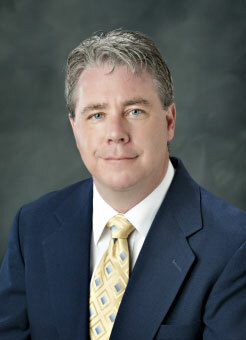 Dr Christopher A. Snyder, Professor of History and Dean, Shackouls Honors College, Mississippi State University will be affiliated to the Globalising and Localising the Great War project during Trinity term and the summer of 2015, and during Trinity term 2016, 2017 and 2018 to conduct research for his next book. His research programme is: Oxford and the American Army Education Commission, 1918-19. In 1919, Major William M. Rogers, Mississippi State University’s first Rhodes Scholar, returned to Oxford as part of a continuing education project for American army officers. This unique educational opportunity for American army officers at the end of World War I forms the basis for Dr Snyder’s research. He will create a historical narrative by looking through the “lenses” of three of these officers to see how they experienced the War, the Armistice, and return to civilian life. The Bodleian Library (especially the Vere Harmsworth), the Rothermere American Institute, and Rhodes House have archival material and secondary sources relevant to the project. The goal is to produce at least one journal article and a book from this research. One of Dr Snyder’s recent students, Donald Brown, is a Rhodes Scholar currently studying for an MPhil in Modern British and European History at Christ Church College. He is looking at the Négritude Movement in Paris in the 1930s. Following completion of his MPhil, he will return to the States to do his PhD in African American Literature. Jeremy Wilson was a historian and author of Lawrence of Arabia, The Authorised Biography of T.E. Lawrence (1989). He was a Research Fellow at Bristol University, and was affiliated to Globalising and Localising the Great War from January 2016 until his untimely death in April 2017. He was the editor of several of Lawrence’s works and series editor of the T.E. Lawrence Letters editions, in addition to being the co-owner, with Nicole Wilson, of Castle Hill Press, which is publishing a fine-press subscription edition of T.E. Lawrence’s works and correspondence. He was also the editor of the T.E. Lawrence Studies website. From 2009-11 he was a member of the organising committee of the T.E. Lawrence exhibition held in Oldenburg, and Cologne, Germany, 2010-11.